For all of you grill masters with a sweet tooth…I’ve got good news for you! There’s such a thing as smoked brownies! And yes, they taste as awesome as they sound. Check out how to make them below! Pro-Tip: Don’t have a smoker? That’s okay! Use a grill instead. You won’t get all of that smoky chocolatey goodness but the flavor is still unbeatable to those oven-made brownies. Don’t forget to add your wood! Try a combination of hickory and cherry! Pro-Tip: A smoker and grill is essentially an oven. 350 degrees in the smoker equals 350 degrees in an oven. Eat the dang brownies. 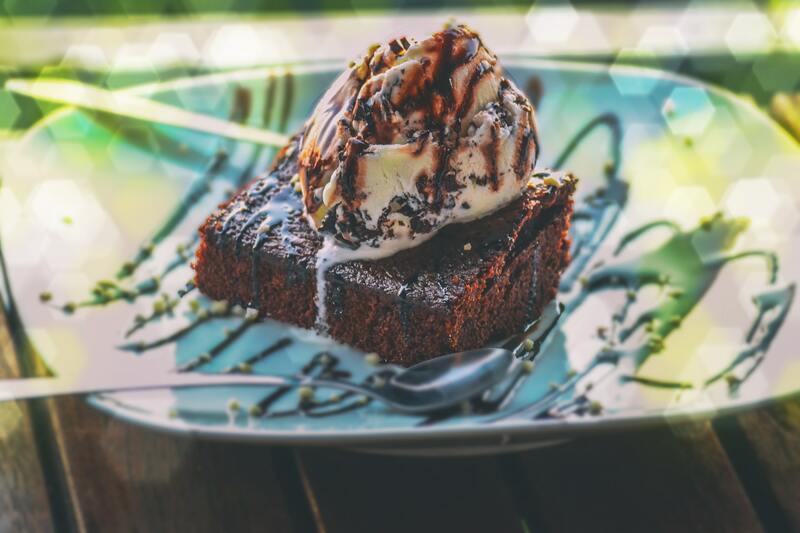 You can also try your smoky brownies with a side of classic vanilla ice cream and a cold glass of milk. Yum! Let us know how they turned out below in the comments! Enjoy!